This week was an exciting one in the Aesthetics industry, many companies time their product launches to coincide with the large aesthetic society annual meetings. Next weekend, the American Society of Aesthetic Plastic Surgeons has their annual meeting in Vancouver Canada, and we've already been leaked some exciting new product announcements. So stay tuned for our in-depth coverage of the ASAPS annual meeting. Here are the top trending procedures and trends in the aesthetic industry for the week ending April 27, 2012! Cellulaze continues to gain in popularity as it is featured on more major network news shows. Today, the new laser cellulite treatment was discussed by Dr. Bruce Katz on ABC's "The View". This procedure is scheduled to be seen on the new show, The Revolution in a few weeks. 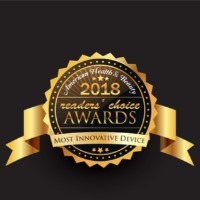 Cellulaze finishes the week on American Health and Beauty at #8 on the top procedure chart... very impressive for a device that was so recently FDA approved! 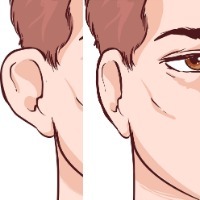 Have some wrinkles you aren't happy with? Syneron's eTwo was featured on The Doctors TV show today by Dr. Michael Niccole. The eTwo uses Sublative Rejuvenation and is "color blind" meaning it can treat any skin tone. Are you a smoker? Tired of those lines around your mouth? Dermatologist, Dr. Ben Benham demonstrated a fractional CO2 laser to treat "Smoker's Face", the lines and wrinkles caused by years of smoking on the Doctors TV show today. Belotero is a FDA approved hyaluronic acid based dermal filler that is injected into the skin to treat lines, creases and wrinkles. Dr. Derek Jones discussed the new filler on The Doctors TV show saying it was the next generation of facial filler, good for use on superficial lines and for using closer to the skin's surface. 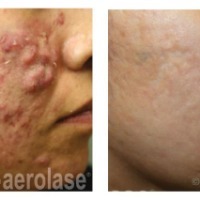 Read a dermatolgist review of Belotero. Liposonix, the non-invasive procedure for using ultrasound energy to destroy fat is continuing to grow in popularity. The silicone breast implant known as the "Gummy Bear Implant" made by Sientra have been approved by the FDA. The implants will be marketed in the US under the brand Silimed.